Nashville's disabled style blogger extraordinaire. Sharing my passion for fashion, style, trends, and a glimpse at life in Nashville while advocating for social awareness and acceptance of people with disabilities. 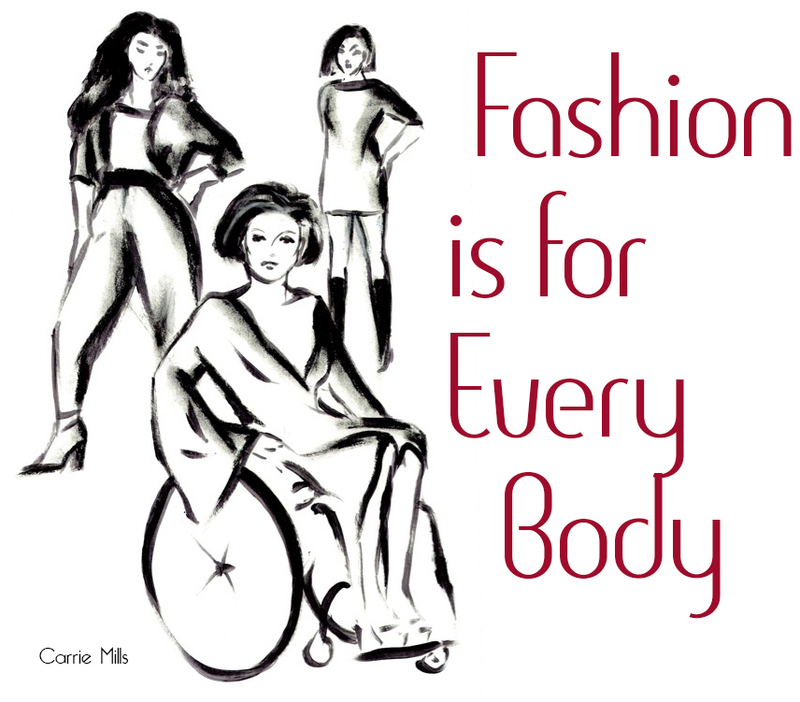 Because fashion is for every body. PATTI + RICKY is an online shopping experience that offers stylish and functional designer products for individuals with disabilities. It can be difficult to find adaptive clothing and accessories online. Moreso if you want to choose from multiple brands. PATTI + RICKY changes this with an inclusive shopping experience for all. With 40 brands of adaptive clothing available it's a virtual department store for people with disabilities. I was sent this gorgeous Rain Cape in Electric Houndstooth by Cleverhood to review. Initially used by cyclists this piece's design makes it ideal for use with many mobility aides. You can see in the photos that the cape covers the entire back of my chair and my arms when I'm walking into the gym. It's got tough zippers and magnetic arm closures so you won't get soaked and reflective thread so you're seen in those passing headlights. It also has an adjustable hood and velcro tabs to adjust the width and is made in the USA. This is the coolest, most practical, least dorky-looking weather cape I've ever owned. Not only does it do exactly what it supposed to it makes you look good while you're trying to maneuver through a downpour. 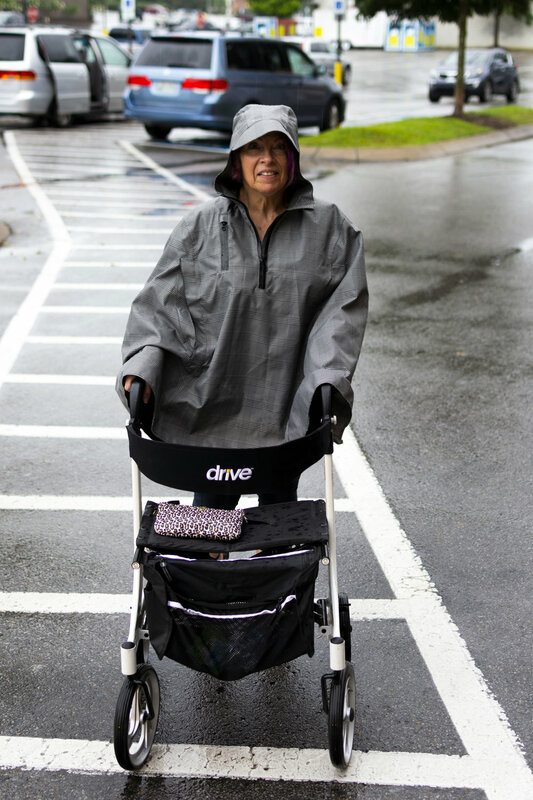 A lot of weather gear is either cumbersome or inadequate (or both) for people in wheelchairs. Cleverhood is the exception. It keeps you bone dry without restricting movement or impeding mobility aid navigation. It also folds up neatly and comes with a backpack-style bag to stow it in. 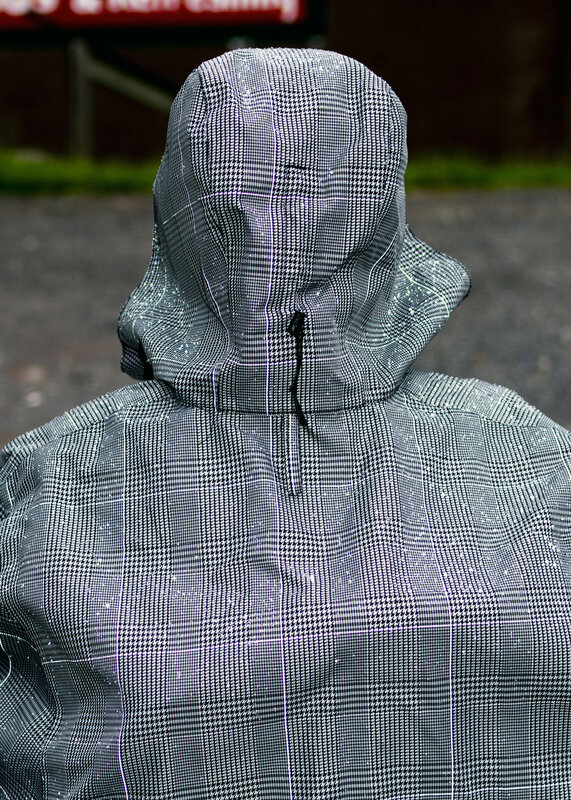 Cleverhood rain capes and jackets are investment pieces running from $89-$299. But it's the only rain gear you'll ever need. By the way, my gym wear today includes these Contour Crop Leggings by CRISSCROSS Intimates. I received these as well and I love the support and flexibility they offer while I'm working out. You can see them in action here. I want your opinion! Please include a link to your own blog or other social network info so I can return the favor. Remember, if I don't know who you are I can't visit your site! Nashville's disabled style blogger extraordinaire, a 50+ fashionista with Cerebral Palsy who wants women of all ages and abilities to feel beautiful. With Spashionista I hope to share all of my passions expressed in my town with my physical limitations at my stage in life. That includes fashion and trends and giveaways geared towards older, curvier, and disenfranchised woman. But it also includes a glimpse at life in Nashville, which is one of the fastest-growing, cosmopolitan cities in the southern US, and a steady push towards social awareness and acceptance of the disabled. I believe a narrative that advocates for positive, lasting social changes can be entertaining as well as enlightening.